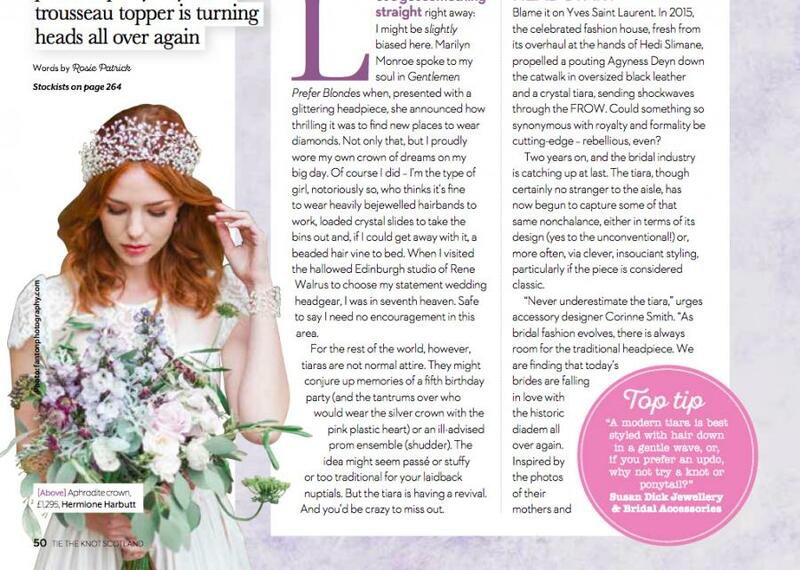 We are delighted to be featured in Tie The Knot Scotland Magazine for May-June's 2017 issue. Here is our stunning Aphrodite Crown. Thank you so much for the lovely feature!